So your team always know who&apos;s doing what by when. 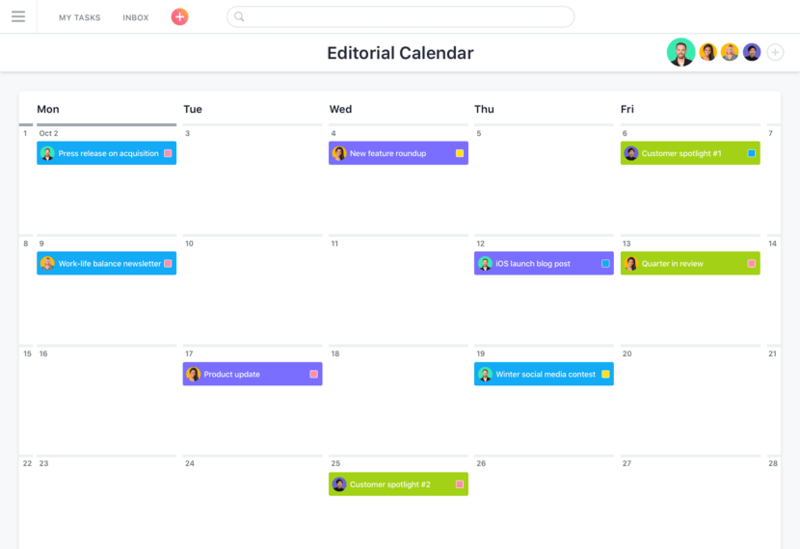 Track every step of the editorial process in Asana, from planning to publication. 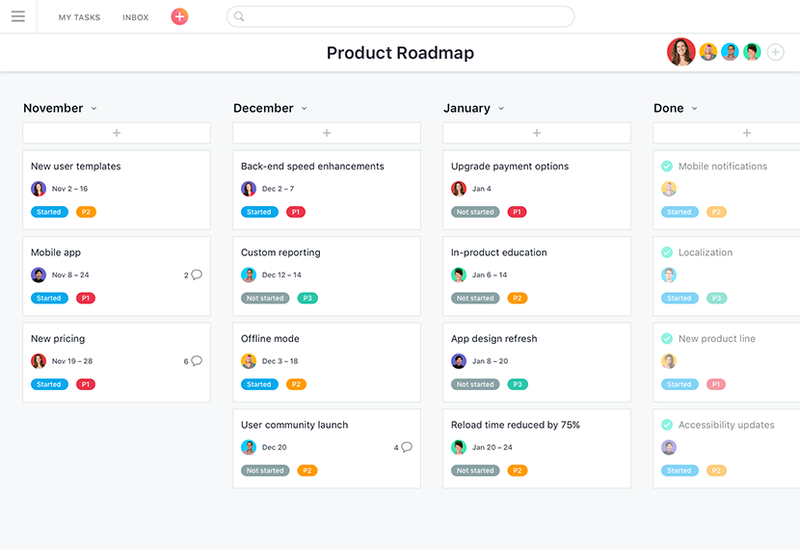 Product roadmapping in Asana is simple and allows you to prioritize work, document a backlog, and more. 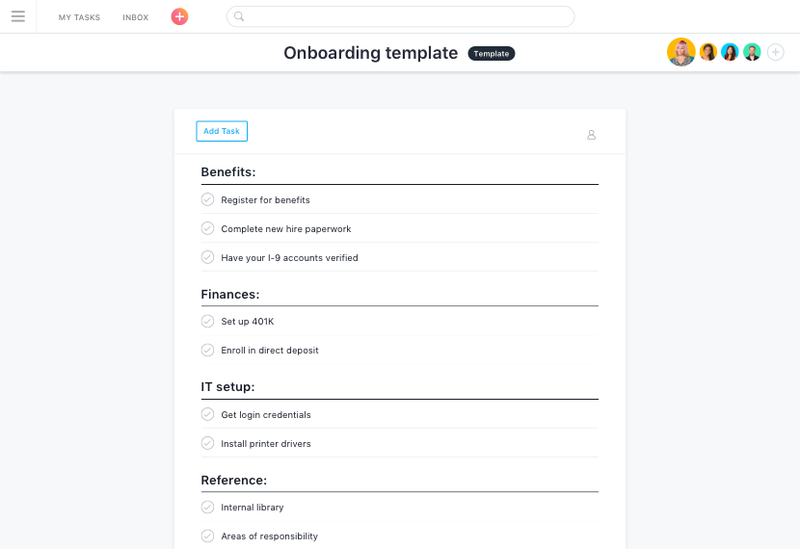 Set up workflows to track your onboarding process, then create a template to save even more time. 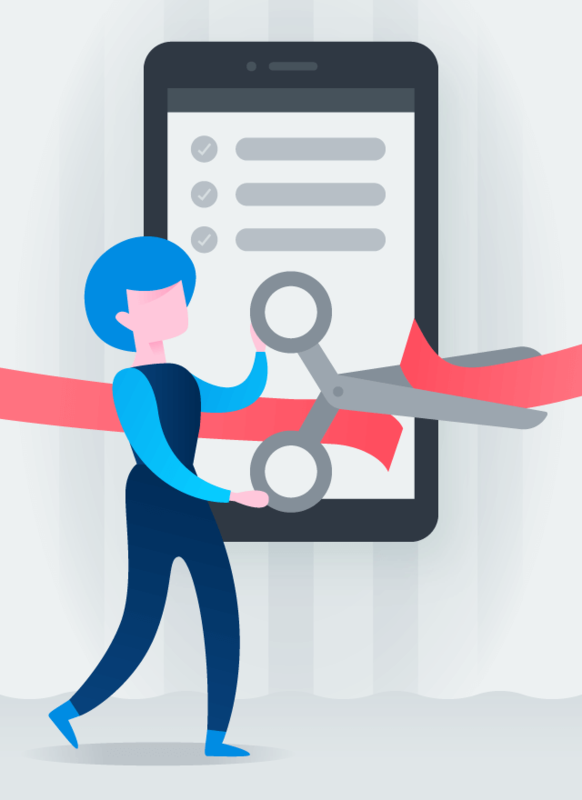 Customize workflows to fit your team and company’s needs — so everyone tackles the right tasks at the right time. 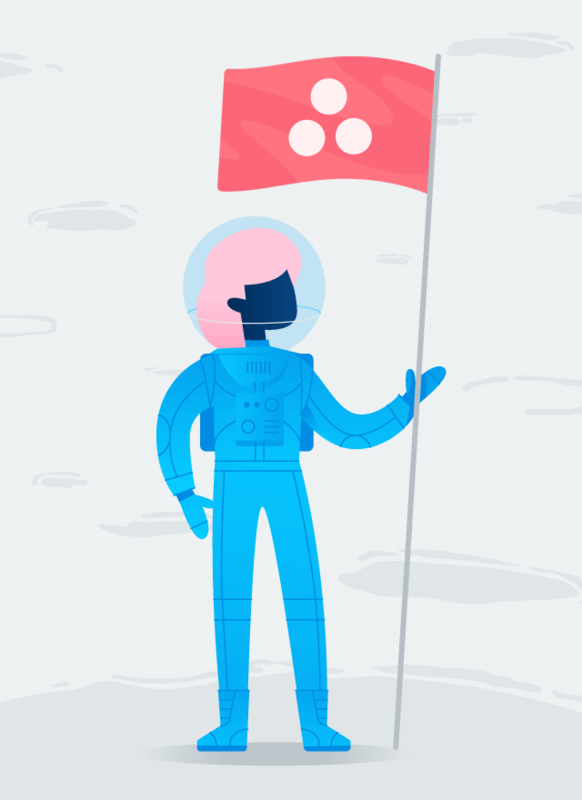 To make sure everyone’s on the same page, set communication guidelines in advance, make the higher-level mission known to everyone, and encourage feedback. 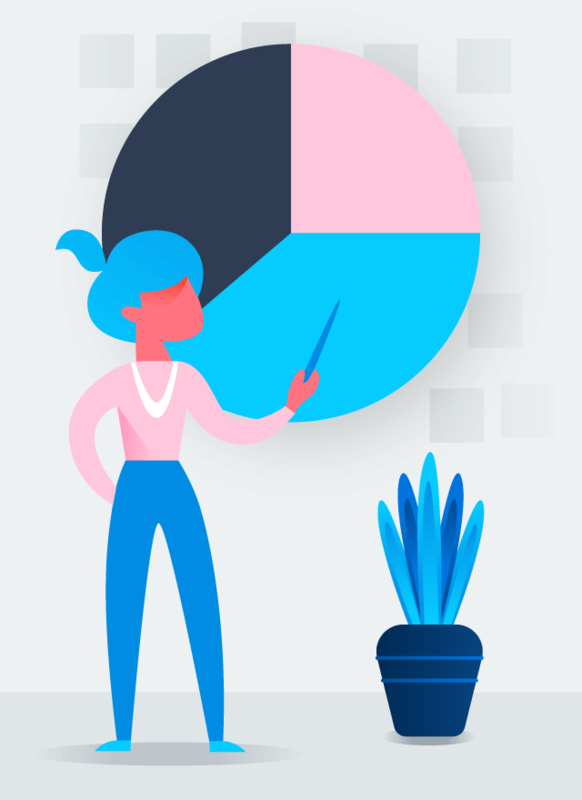 Think about all the places where you can save time on recurring work. 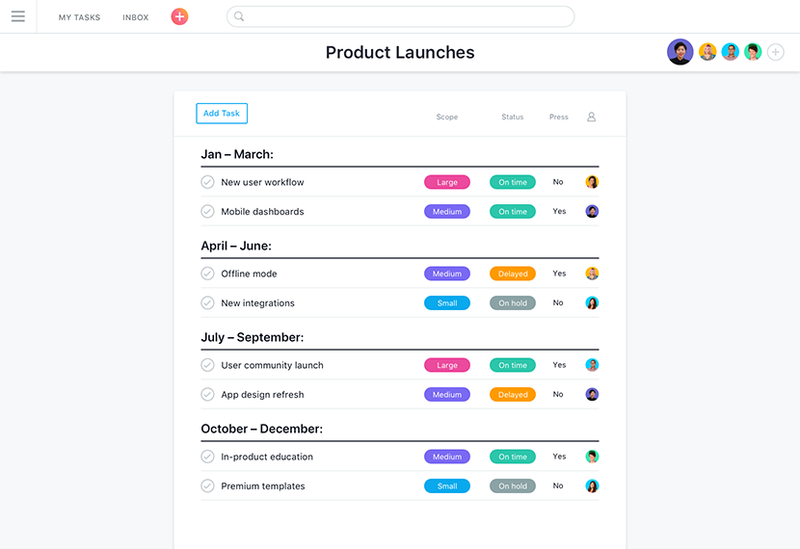 Is there a way to automate any of your tasks? Make it easy for collaborators to access information and projects by creating a central database of resources. 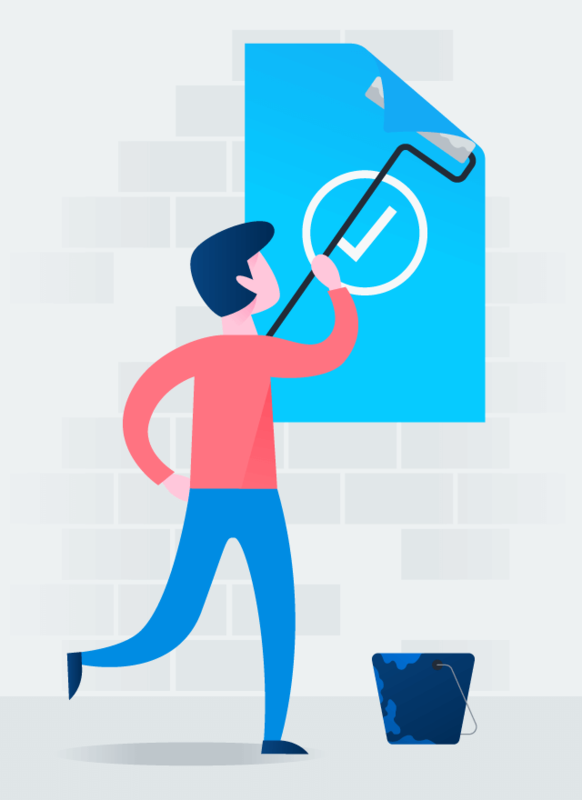 Be sure to answer these questions for any workflow: What are the exact deliverables? Who’s responsible for each piece of work? When is each task due? Avoid creating an overly complicated workflow. To start, keep it simple and check in regularly to make any necessary adjustments. Goal-setting helps team members understand how their work supports company objectives.